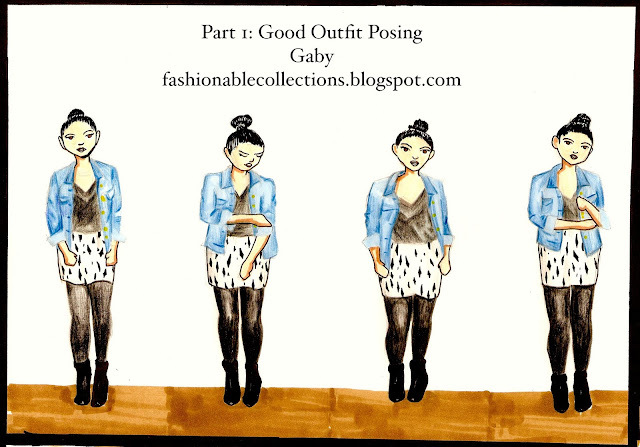 The Seasoned Professional: Gaby from Collections. For the use of her original image, I would like to extend a special thank you to the wonderful Gaby, whose blog Collections I admire deeply and always enjoy reading. You can find the original outfit this drawing is based on here -- isn't it awesome? Make sure you head on over to check out all of her other terrific posts. Stay tuned for Part 2 of Outfit Posing!